The Cameron weskit works well as a stand alone piece or layered under a dress coat, with its standing back collar and turned back lapels to the back button detail (which also has the advantage of giving you an adjustable fit). 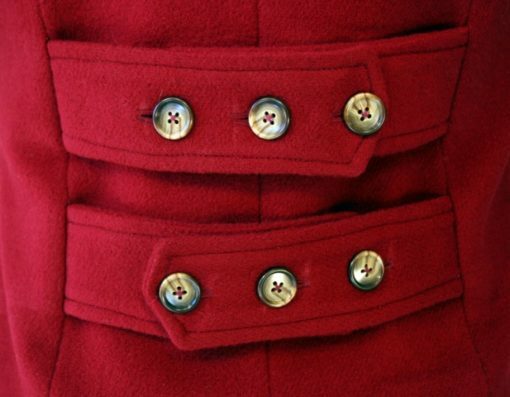 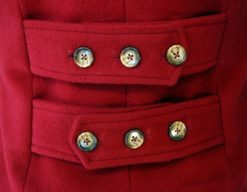 The final Jacobite uprising, led by Bonnie Prince Charlie and shattered by Redcoat guns on the fields of Culloden, is one of those “what if” moments of history that has inspired poets, artists and authors for generations. 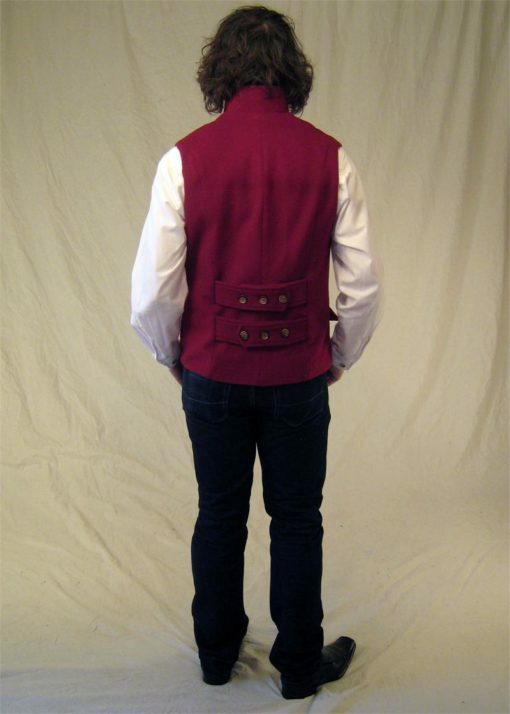 We honor the romantic, passionate image of the brave Gael with this 18th-century inspired weskit. 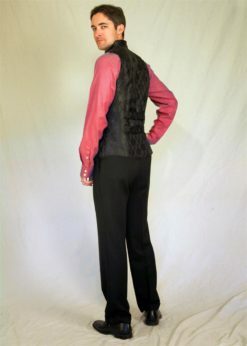 From the standing back collar and turned back lapels to the back button detail (which also has the advantage of giving you an adjustable fit). 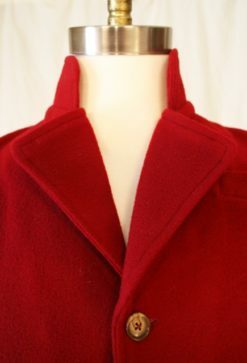 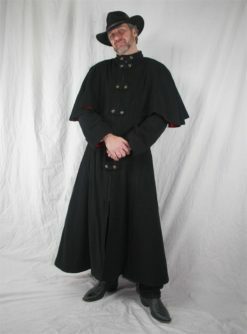 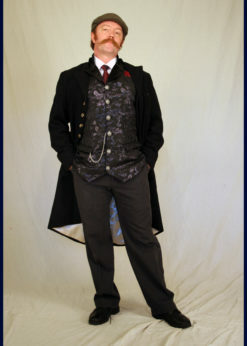 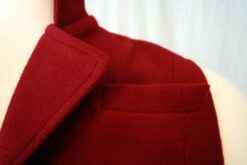 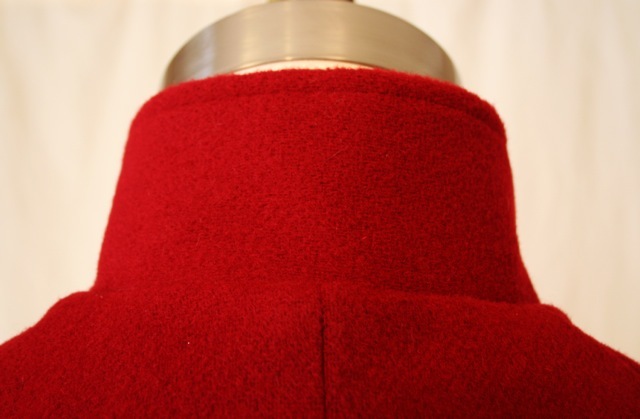 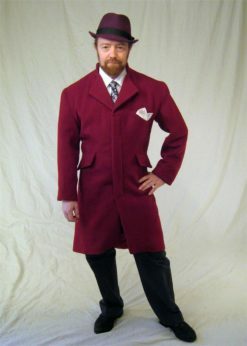 The Cameron works well as a stand alone piece or layered under a dress coat. 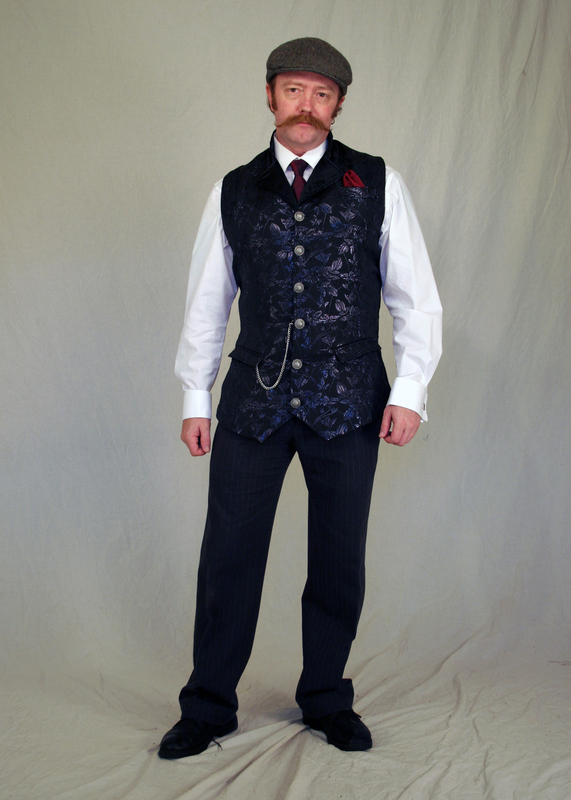 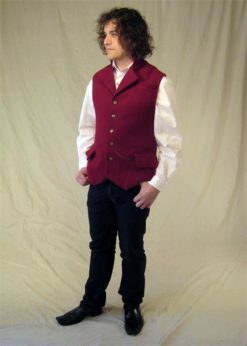 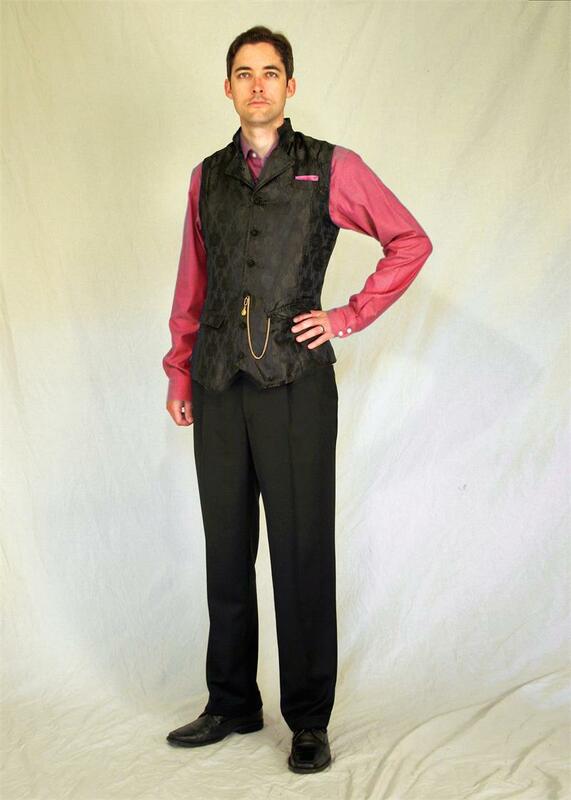 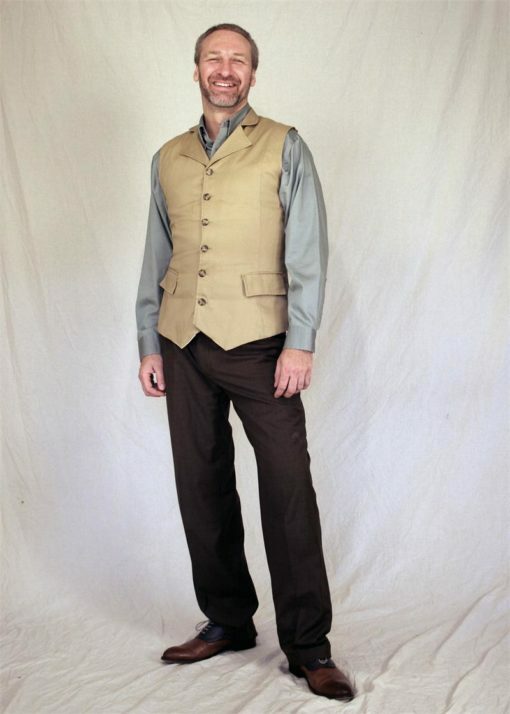 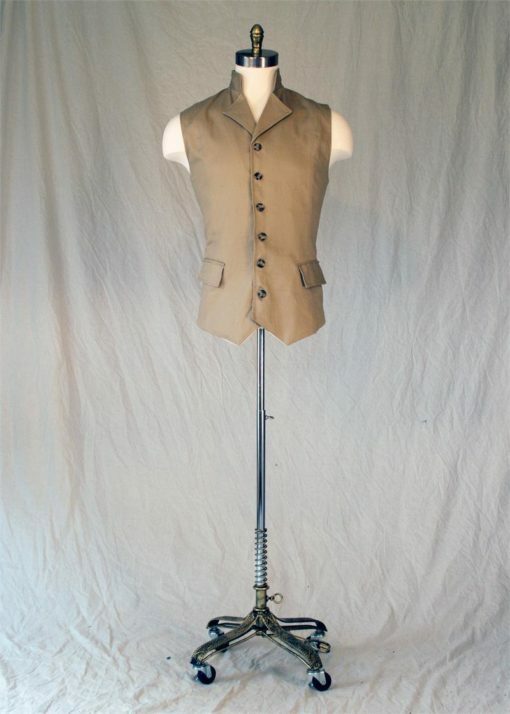 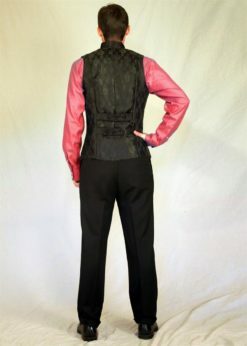 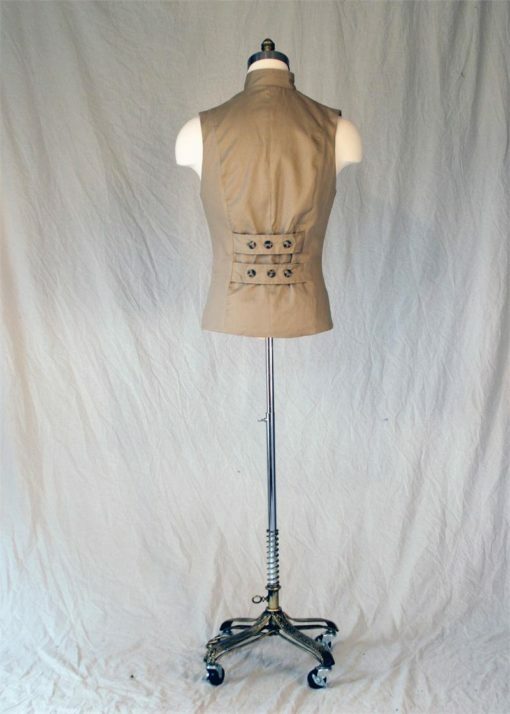 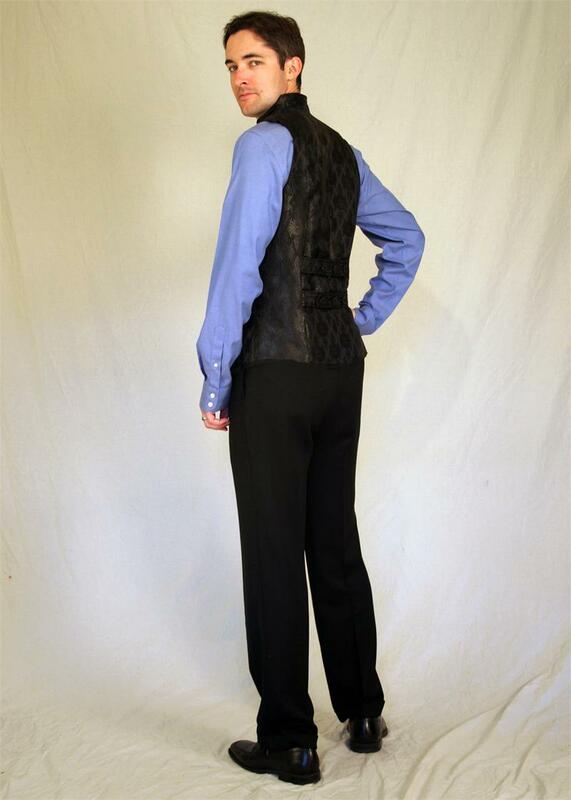 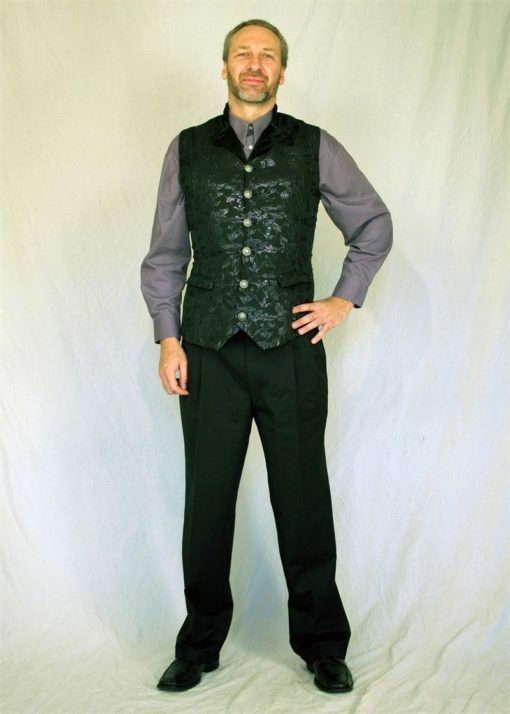 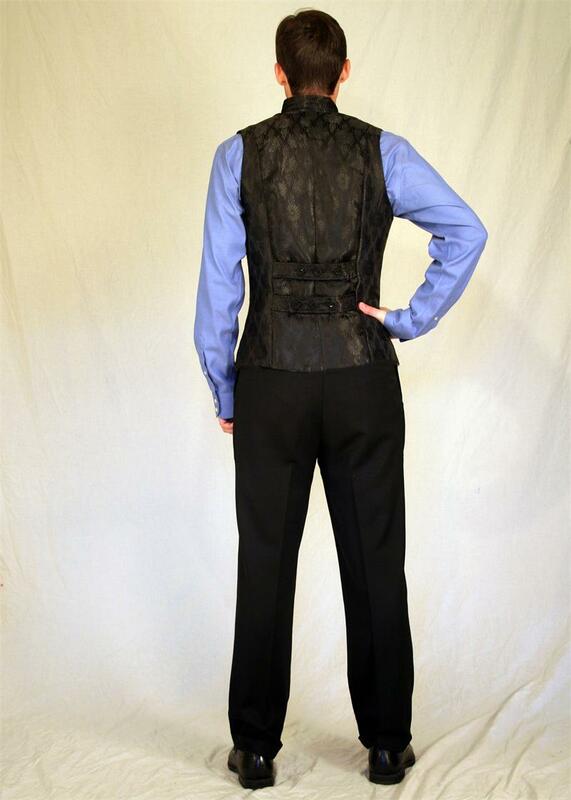 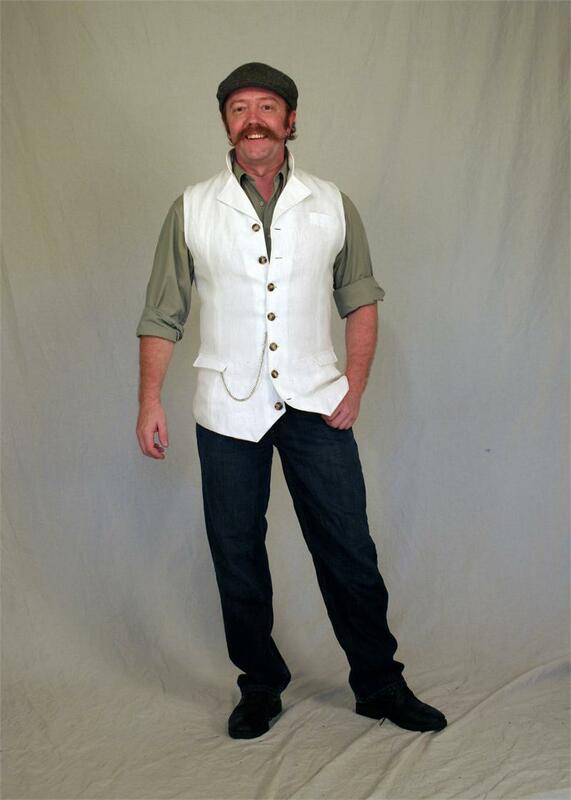 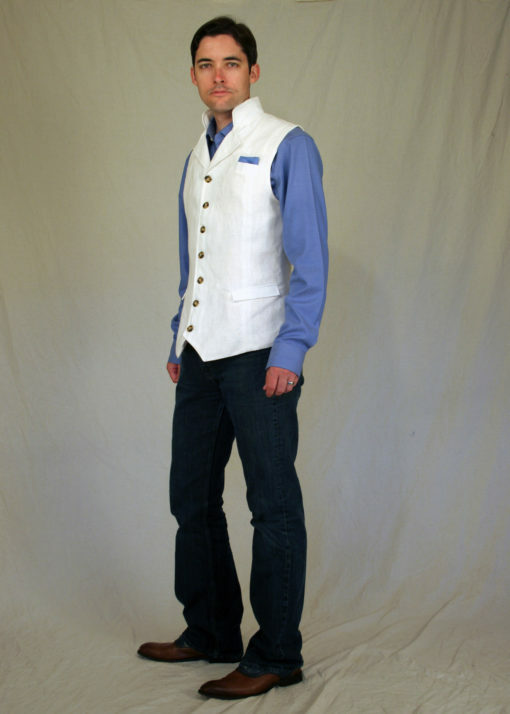 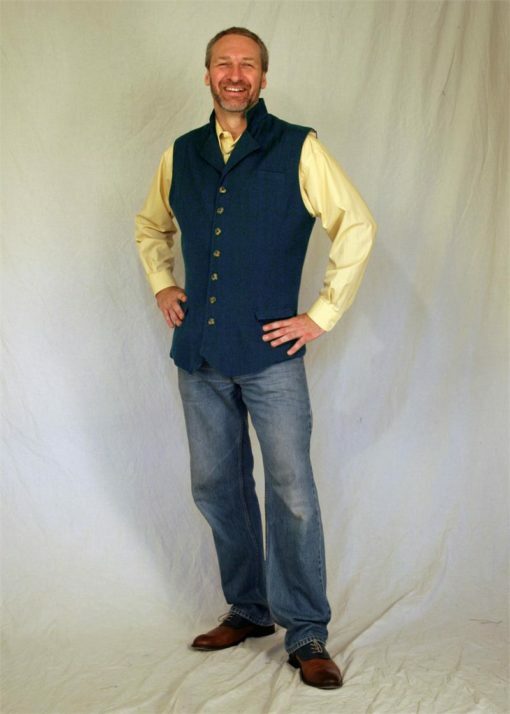 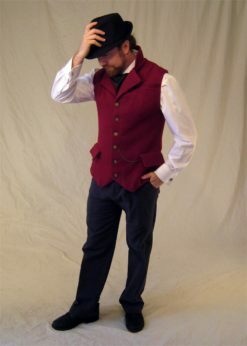 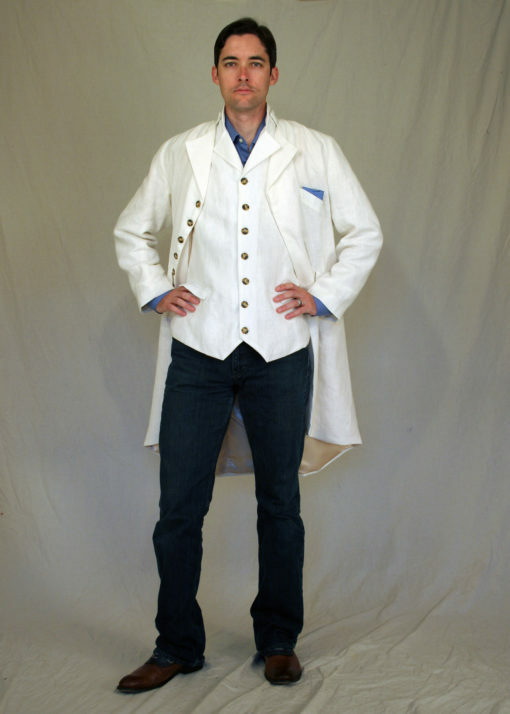 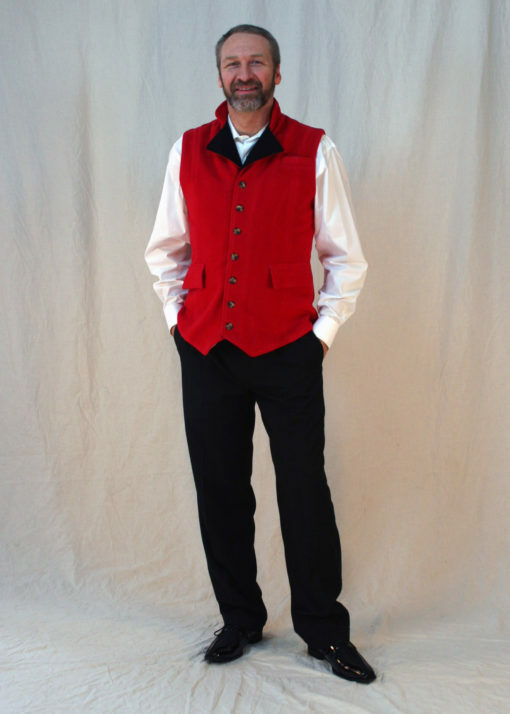 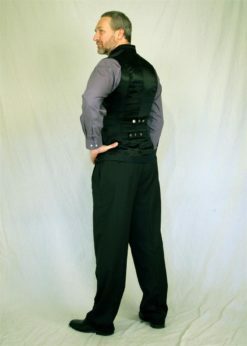 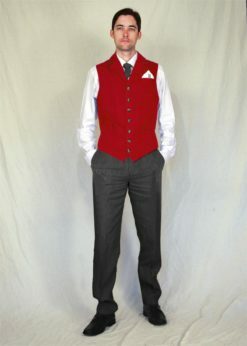 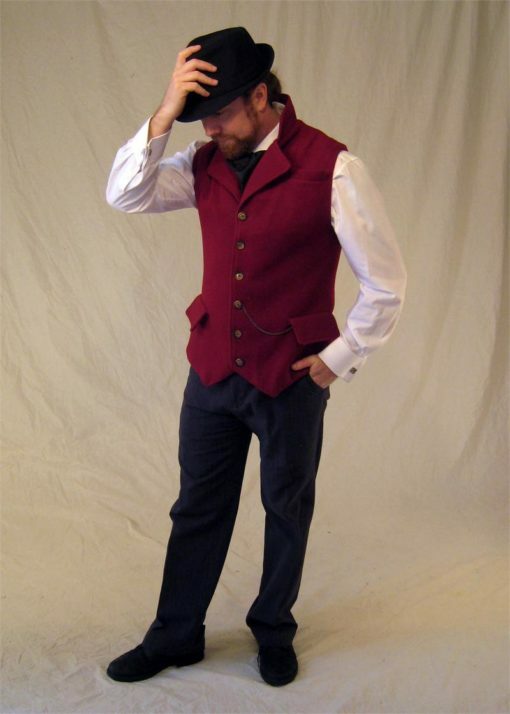 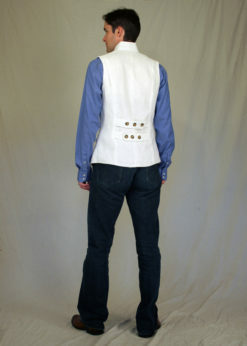 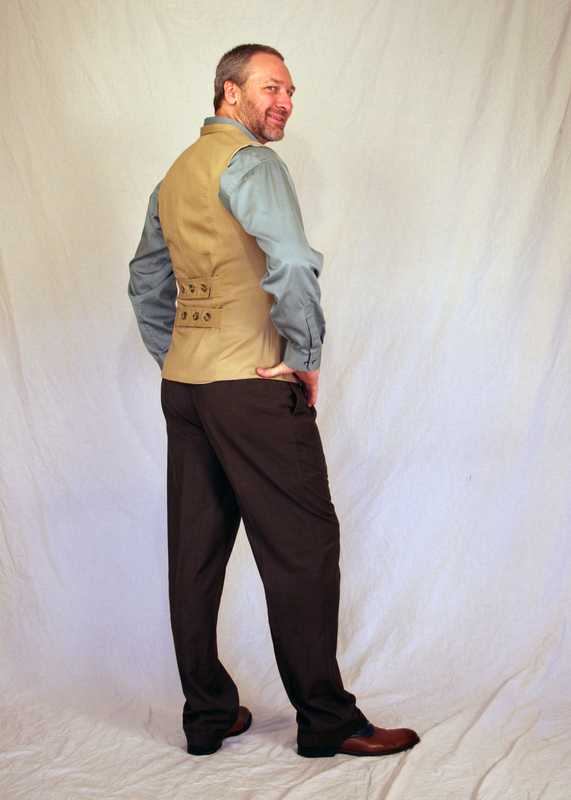 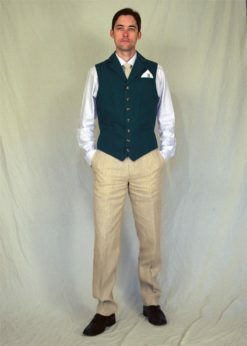 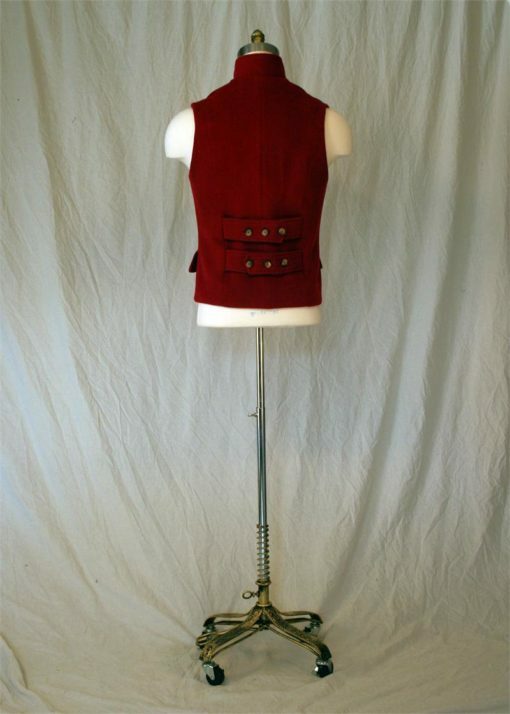 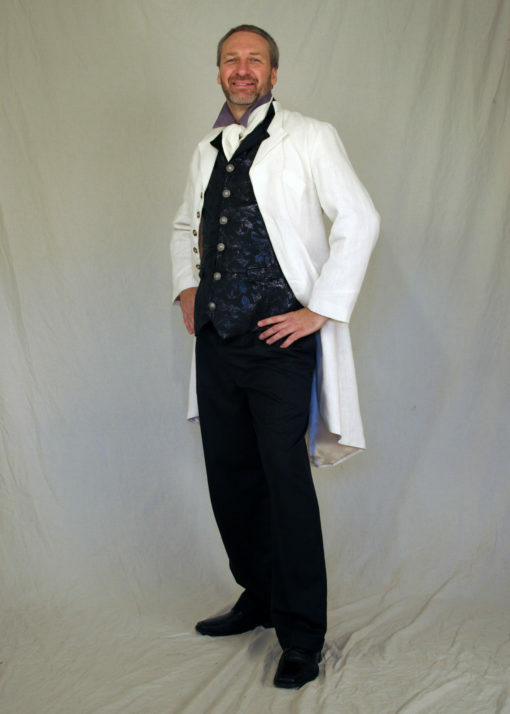 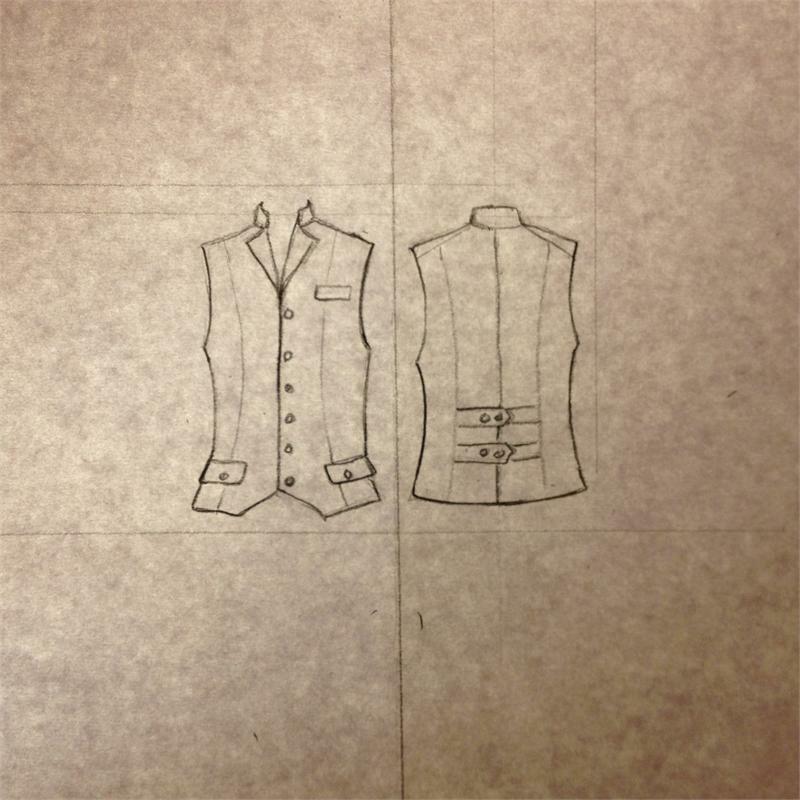 The longer length, top stitched, six button front and flap pockets gives it a slightly more ‘dressed-up’ feel than your standard vest but is also great with jeans a favorite pair of boots. 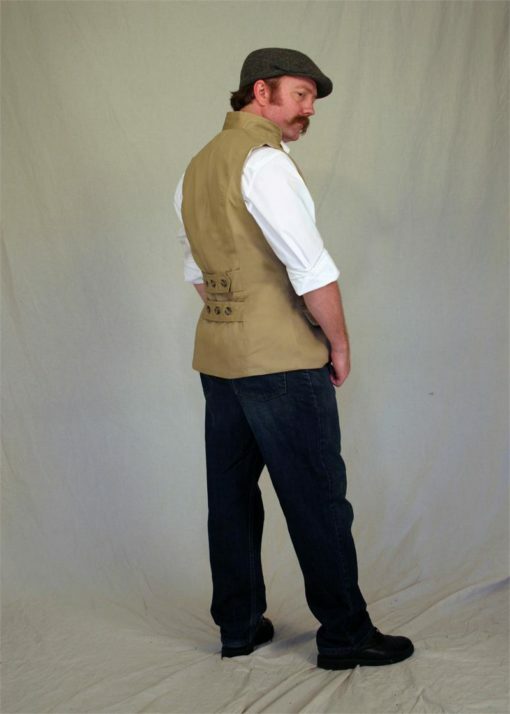 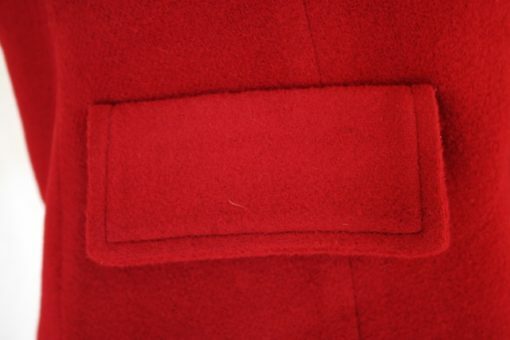 On the practical side of things we’ve also included four pockets, three exterior and our signature, interior ‘smugglers pocket’ – just the right size for a ID, or cell phone. 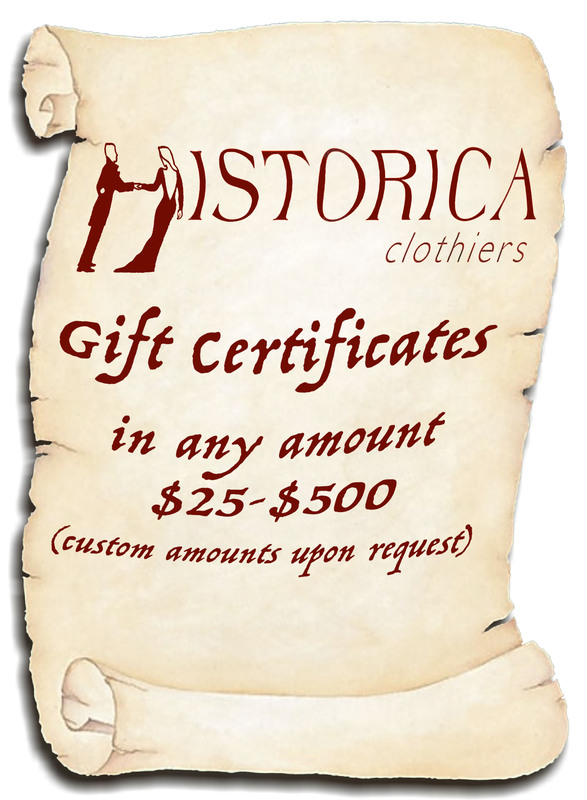 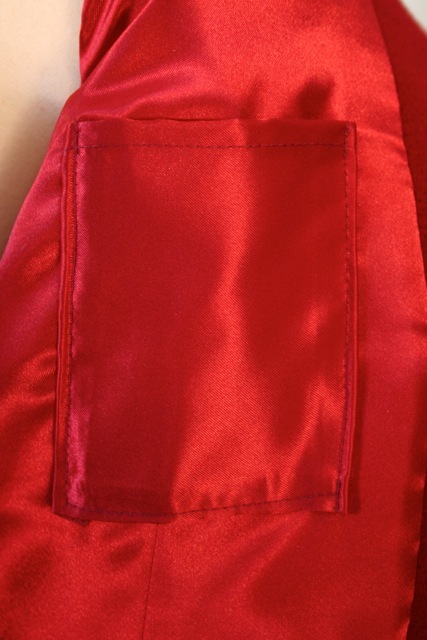 May we suggest a carnation or silk pocket square for the upper breast pocket? At home with trousers or your finest kilt – both traditional and modern. Men’s sizes S – XXL, but there nothing to say it wouldn’t look smashing on the saucy highway women. When the Young Pretender rode onto the field the clansmen exchanged looks between them. 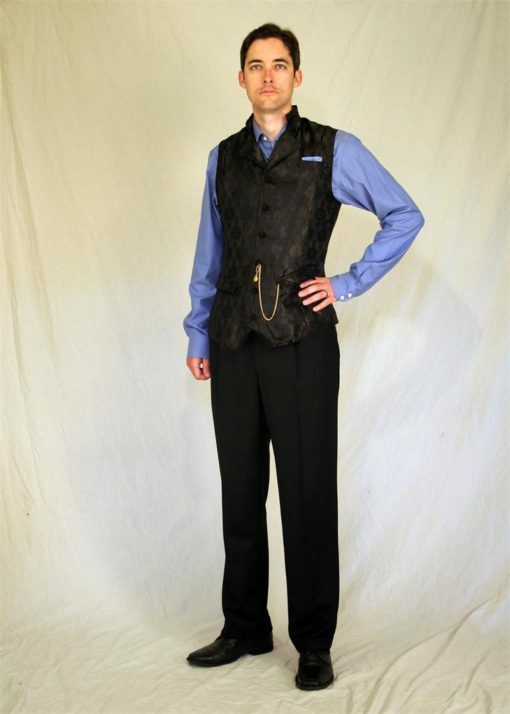 He didn’t look much like a king, with his thin limbs, his large soft eyes, and small chin. 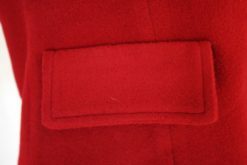 His uniform was prefect cut, but looked as if it had never seen a day in the field ere now. He wore the beautifully made broadsword at his hip awkwardly, as if unused to its weight. 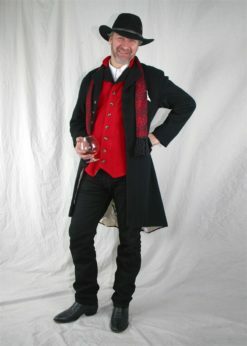 This was Charles Stuart, the man who claimed he would liberate the clans from the tyranny of England? They watched intently as the Lochiel, chief of the clan, approached the Pretender on foot. 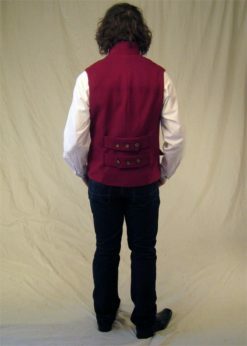 Half again his breadth, and made the larger dressed in great kilt and bonnet, his sword and targe worn with a practiced ease, there could not have much less in common between the Stuart heir and Donald Cameron. 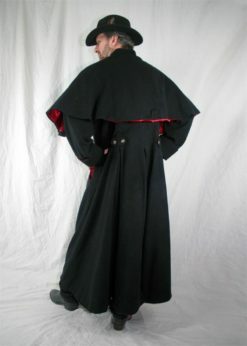 For four hundred years, since the days of Robert the Bruce and his glorious victory over the hated Sassenach at the field of Bannockburn, Kings of Scotland had turned to Clan Cameron to be their strong swords in battle. Would the Lochiel draw his sword for the pale boy prince who came now before him? 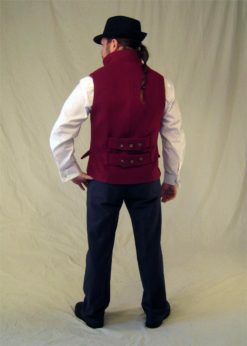 The prince’s horse paces nervously, as the pale boy exchanged words with the ruddy clan-chief, their words lost in the whipping, coastal wind. The men waited anxiously. At last, the Lochiel nodded and took two steps back from the boy-prince on his tall, pale horse. 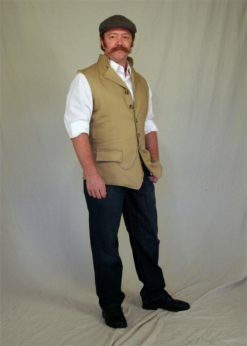 Turning toward the clansmen, Donald Cameron – the Cameron of Clan Cameron – drew his sword and held it aloft; its bright blade flickering in the grey light of a Scottish morning.